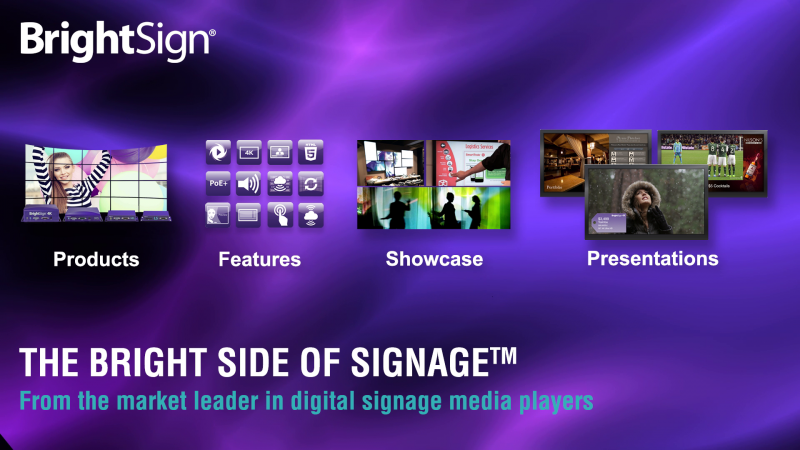 The demo presentations below provide an overview of BrightSign XD capabilities. This presentation includes 3 modular HTML5 zones and an image background. There is an animating HTML weather widget, an animating HTML social media feed and an HTML video carousel with swipe, pinch & zoom interactivity. 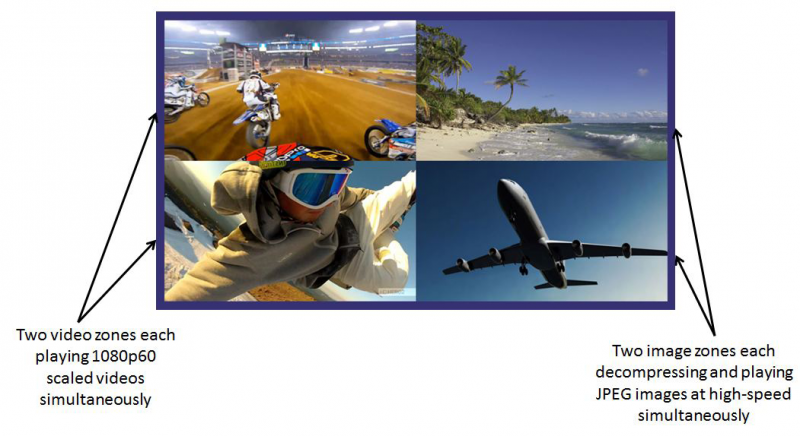 This presentation features a continuously looping landscape 4K video playback of various ocean scenes. This presentation combines touch interactivity while running at 4K resolution. Touch one of the 3 images on the main screen to play back a sample 4K video. 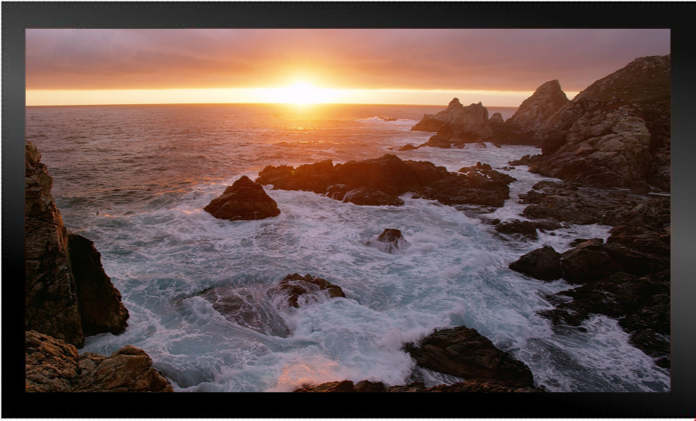 This presentation features stellar 4K video quality in portrait mode. 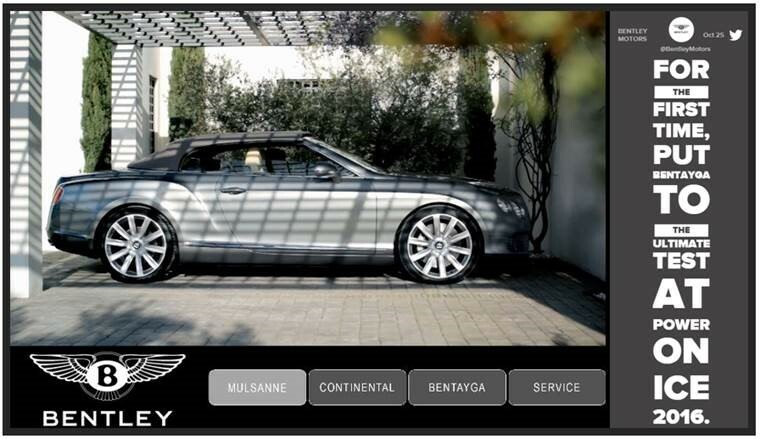 This presentation is an example of a car dealership digital kiosk to select car model videos to playback. It also includes an HTML5 zone of animated social media posts for the car brand. A hotel industry presentation in portrait orientation that uses single touch interactivity to select various hotel amenities and videos. It also showcases HTML5 weather and clock widgets, along with a rotating messaging zone. For demonstration purposes, the weather, clock and messaging HTML widgets do not require an Internet connection. This BrightSign presentation designed by Red Dot Digital Media represents a realistic three-screen menu board playing as a synchronized full screen video wall. The far left burger title and price can be updated using the BrightSign App. UDP commands for the middle screen are also supported via the BrightSign App, allowing you to display two different burger photos within the menu. You can also trigger a video wall take over for all three screens, which play in sync. 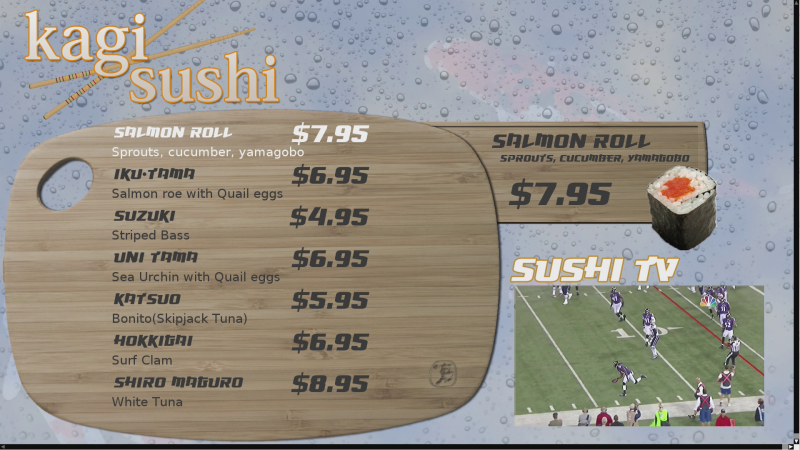 To view additional pre-designed menu board templates, please see www.reddotdm.com. We hope this BrightSign demo helps you! Please fill out this form to get your download link. This presentation showcases a BrightSign XD Smart Menu Board created using a hybrid of BrightSign video, Live HDTV and image content layered with HTML5 content. 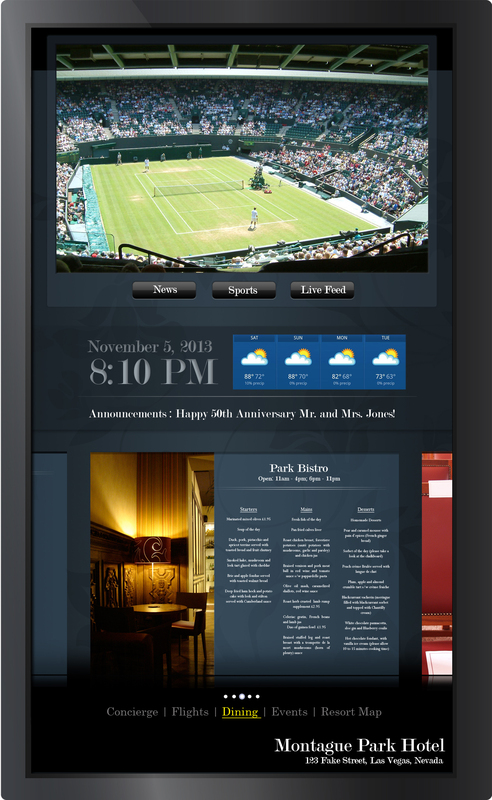 The HTML5 zone contains the menu-board image and logo, along with menu item animations. 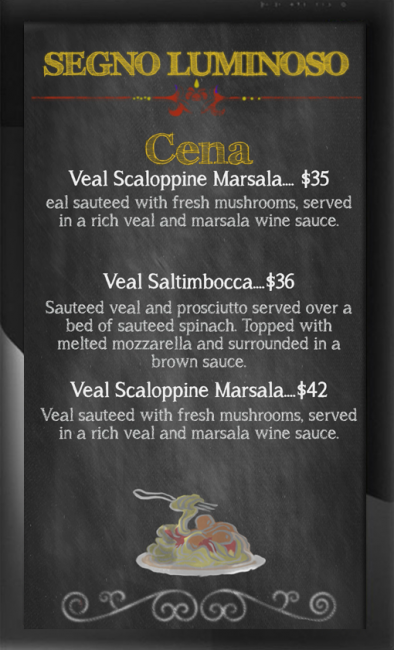 The HTML pulls menu items and pricing from a JSON data file. 1) Promo Loop: Plays a series of short video clips showing BrightSign logo animations interspersed with example BrightSign digital sign implementations that highlight key BrightSign features. 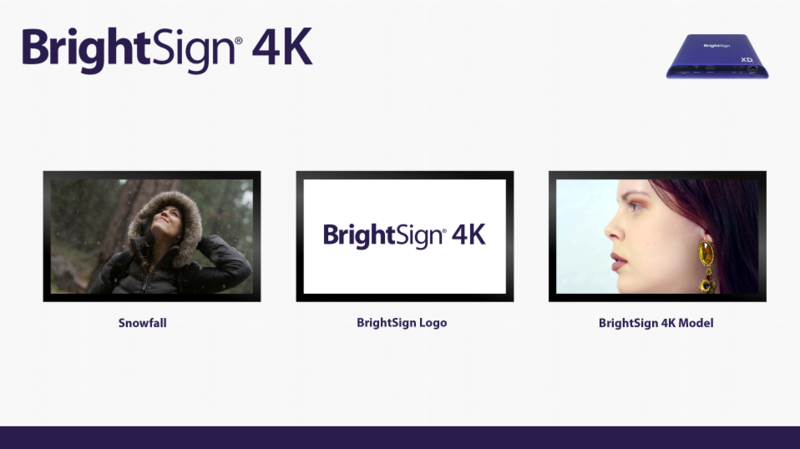 2) BrightSign Overview Loop: Plays our newest video, which provides an overview of BrightSign's features and players, including 4K, XD2, HD2 and LS. This demo plays back two 1080p video streams and 2 streams of JPEG images playing at high-speed in a landscape mode quad zone layout. This published presentation from Red Dot Digital Media is posted for complimentary use by anyone who wants to showcase a well-designed digital menuboard at an event or in a showroom. 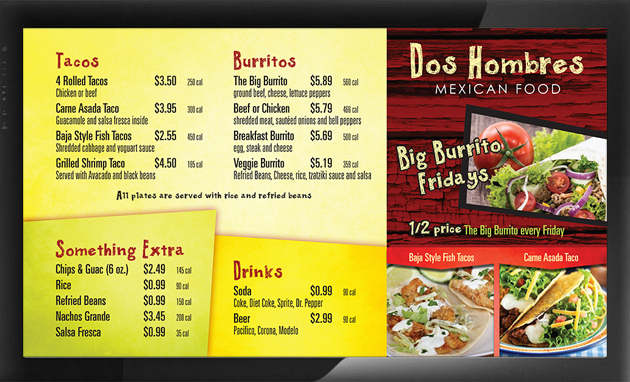 To view additional pre-designed menu board templates, please see www.reddotdm.com. This presentation showcases Live Video playback via the HDMI input on the XD1232/1230, multiple simultaneous video zones, high speed JPEG decompression performance and Live Text. A live-video source with HDMI output. 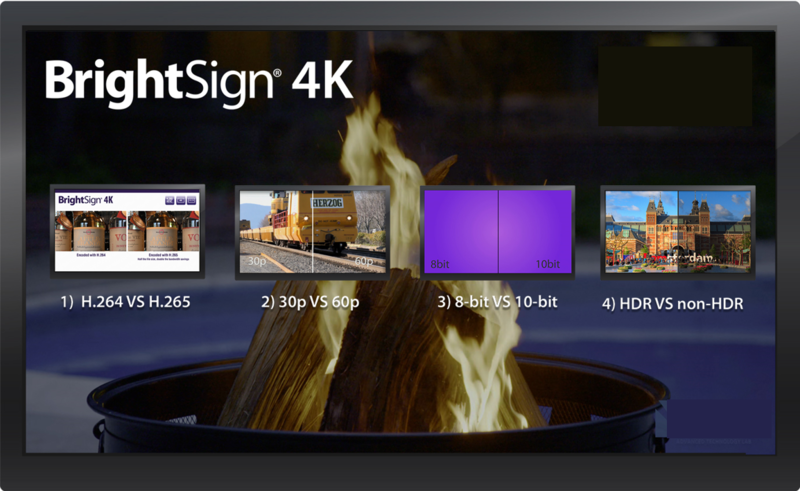 We recommend one of the following sources: a second BrightSign unit, a Blu-ray player, or a laptop. This BrightSign XD1132 Promo Touch Demo is interactive via a touch screen and provides an overview of BrightSign's products, features and customer installations. 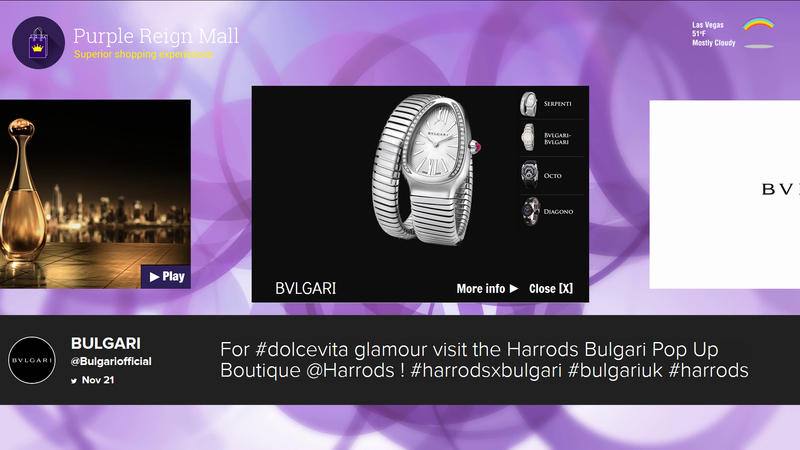 It also includes a distinct set of example digital signage presentations that highlight various features of the XD player. This presentation showcases a BrightSign XD Smart Menu Board created using HTML5 content, user variables for menu items and pricing, and UDP commands to change content via the BrightSign App.